There are many PC-based HART device communication software applications available today. Many automation suppliers have their own unique product each with their own features and benefits. 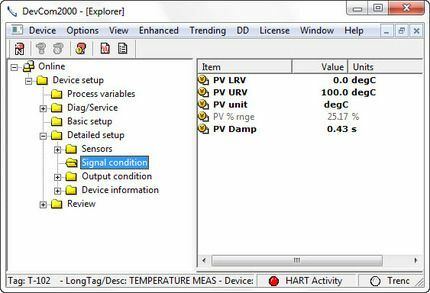 We suggest you consider the DevCom2000 Smart Device Communicator application which comes complete with; the entire DD/EDD library of registered HART devices, support all HART revision levels including HART 7, HART-IP and WirelessHART, no tag limits, uses Windows Explorer menu layout, is easy to set-up and use and much more. All this for only $800.00! Combine this application with the PowerXpress Plus and you have everything you need to quickly and reliably configure your HART device. The combined price is $1,450.00 compared to $4,000.00+ for a handheld with similar capability.